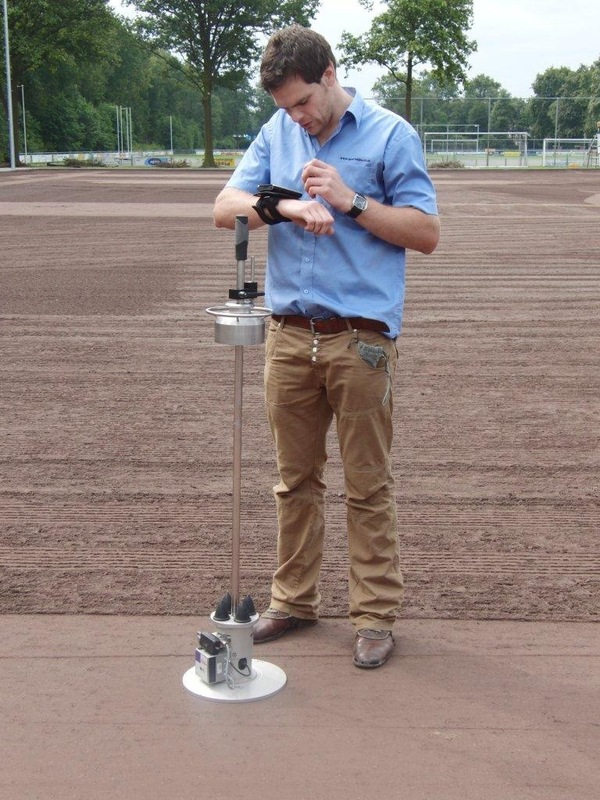 Sports Labs recently attended a FIFA round robin/PRIMA training day in Papendal to assess and evaluate the lightweight falling weight defelctometer device for testing the formation soils and sub-base of Artifical pitches. 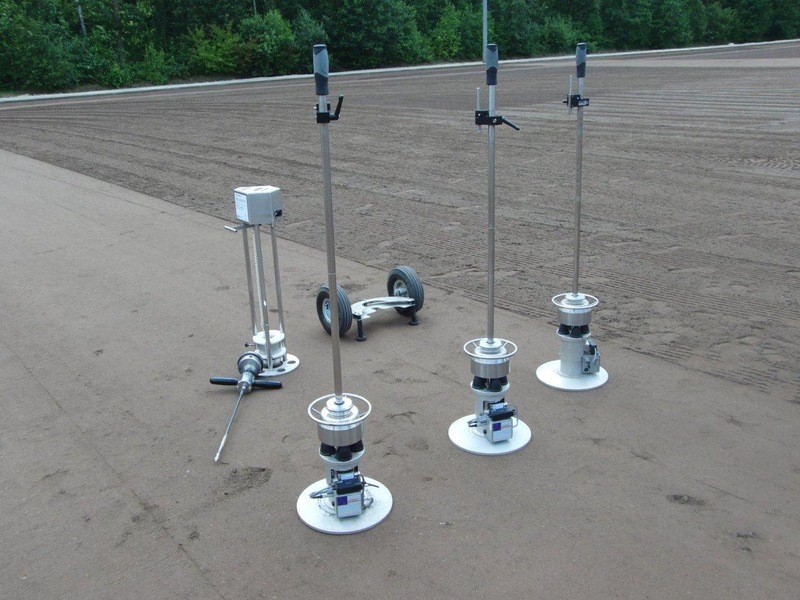 This test rig allows the operator to evaluate a base very quickly on site - a normal test would take just a few minutes to complete. The operator can then look at the results on-site to advise the contractor on the acceptability or otherwise of the area being tested. This on-site quick method of testing means there is no delay in waiting for Test Institutes to produce results which have to be taken back to Laboratories for processing. Here we have Niall McPhee one of our senior operators conducting testing on a prepared formation and a plate of the various PRIMA test rigs.